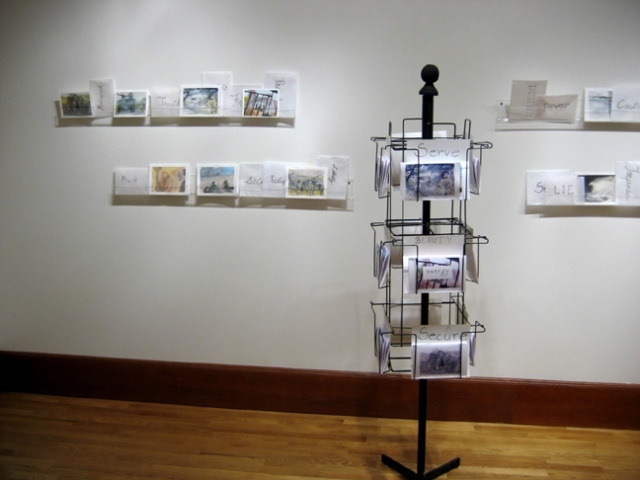 The idea for GREETINGS FROM IRAQ began in a card shop where I noticed how similar images were re-cast using different messages for different audiences. I was thinking about the way images from the Iraq war were often suppressed- and those which were shown were claimed in different ways by different people. More photos also available at ReconnectUS.org a group of artists and curators also making work about the war in Iraq.